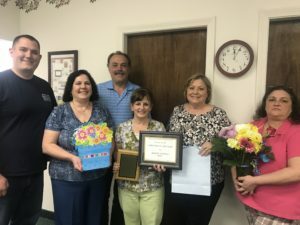 Always On Call Health Services®, Inc. recently celebrated Nurses’ Week and “Health Care Week” with a Celebratory Luncheon for all employees and their families, in their office located at 285 Central Street, Suite 214, Leominster, MA. 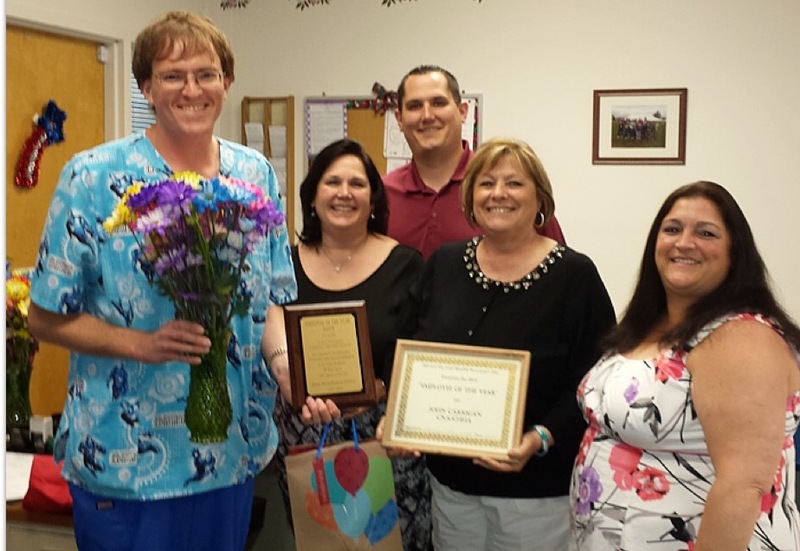 Receiving the “AOC Employee of the Year” award for 2018” is Shirley Stevens, CNA. Employees receiving service pins were Ernest Aubuchon, RN for 15 years of service, Virginia Waititu, HCA for 10 years of service and Kris Kelley, CNA/HHA for 10 years of service. Always On Call is a home health care agency and facility staffing agency servicing Central MA. Presenting the “2018 Employee of the Year” award to Shirley, (from left to right), is Brandon Obara, HR. Manager, Vicky Obara, RN Administrator, Michael Obara, CFO, Shirley Stevens, CNA, Carol Kennedy, Scheduling Manager and Diana Bilodeau, Administrative Asst. 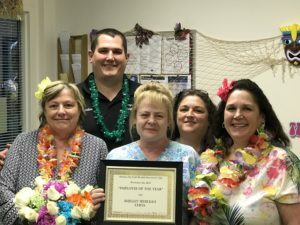 Always On Call Health Services®, Inc. recently celebrated Nurses’ Week and “Health Care Week” with a Celebratory Luau Themed Luncheon” for all employees and their families, in their office located at 285 Central Street, Suite 214, Leominster, MA. 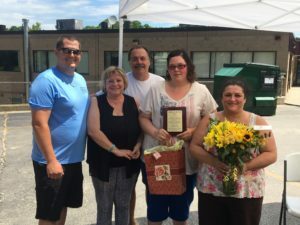 Employees receiving awards for their outstanding commitment to the field of healthcare were Kimberly Infantino, CHHA who earned the “Attendance Award”, Mary Shaw CNA, who earned the “Documentation Award” and Shelley Sedileau, CHHA, who earned “AOC Employee of the Year” for 2017”. Always On Call Health Services®, Inc. provides home health care and supplemental health care facility staffing within Central Massachusetts. 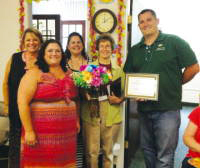 Pictured from left to right, is Carol Kennedy, Scheduling Mgr., Brandon Obara, HR Mgr., Shelley Sedileau, CHHA, receiving the 2017 Employee of the Year Award, Diana Bilodeau, Administrative Asst. and Vicky Obara, RN Administrator.